Last week we considered no-till gardening. I learned a lot about the dangers of disturbing the soil and discovered many methods for gardening in a gentler fashion. One of the more fascinating methods is called Hugelkultur, which is basically planting over buried logs. It's one of the most unique raised beds that I've ever seen. Most of the no-till gardens have a surprising benefit ... once they are established, they are easy to maintain and require less work than common methods. The week gave me a lot to think about and I'll be reading further with the goal of incorporating these methods into our gardening routine. Alicia's soil is full of clay. Here's what she's done to improve conditions: "Our dirt has a lot of clay in it so we have had to till for the past several years. We have added good nutrients to the soil and lots of compost so it is getting better. This season we have noticed that we are not having to till as much and the dirt is so much more "fluffy" We love buying local veggies and fruits. Alan and our daughter still like to have cheese every so often and I have just discovered a local farm that produces some awesome hormone and antibiotic free cheese. There is also a local farm that has pickles, jams, jellies, relishes and honey. It is all so far superior to what you buy at the grocery. Awesome food and supporting local farmers is the way to go!!!! " Teresa left a comment, in google+, about Vicality's article on mulch. The article said that commercial mulches often include dyes. Here's what she had to say: "I have often wondered about that myself. I guess some people want a coordinated look. I like the natural look myself. All of ours is from the trees we lost last winter's ice storm." The Family Focus Blog mentioned our challenge on their Rebel Mouse page and included the twitter names of several #CTWW Gang members. Marla accepted the challenge and shared this: "We have a new produce store opening this coming Saturday that is less than a mile from my house that grows all their own food that is local and grown organically. I can't wait to go see what great greens and tasty veggies they will be selling. I have been waiting for this store to open for over a year and next door to them is a local nursery that will be opening and a bakery. I am almost out of all my frozen local veggies from last year and too early for my own to be producing yet." Charlie joined us and left this comment: "We always buy local and/or organic whenever it's avaible. It tastes so much better! Hubby set me up with a garen last weekend. It's not raised like our old one was so he did till up the grass. He added soil that I would not have chosen but nothing I can do about that. I was just thankful he had the time to do it at all. I bought seeds where he was trying to save me some trouble and bought a few plants. This time I want to see things grow from a seed plus, our daughter will love that too. I would like to know how the ground cover works with seeds and plants. When I planted mint last year it over took everything I planted so I don't understand how it can be used. Any advice?" In reply, I said this: "Hi Charlie. Mint is very invasive so yeah, it doesn't work well with other plants. There are some ground covers, though, that aren't so aggressive and can be grown successfully with other plants. I've even heard that one can simply spread apart the leaves and plant seeds. Here's an article which might help: http://gardening.about.com/od/vegetable1/tp/Using-Ground-Covers-in-Vegetable-Gardens.htm Hope that helps!" cstocks stopped by and shared this: " Funny that the tilling thing is today. Today is Earth Day, but more importantly for me, today is tilling day. Good old hoeing, gleaning the weeds out and getting ready to plant some more tomatoes, peppers, basil...Nothing mechanical happens in this veggie garden; it's all a manual operation. (And builds strong bodies better than Wonder bread!)" cstocks also had a reply to Charlie: "May I add some thoughts for Charlie? Mints can be quite invasive and dominate a garden (and are especially threatening to seed/lings). Instead of growing directly into the garden, try planting it in pathways (thymes do well this way, too, between path stones). Foot traffic will keep it clipped. And it smells awesome! Or instead of direct planting in the garden, put it in a big pot and keep the pot in the garden area. It will keep mint contained, pardon the pun. Aimee joined us and shared this: "We have raised beds and use the lasagna method for the base of them and square foot for certain plants within them. We don't do any type of double digging (we've heard both good and bad things about it, as described here: http://www.rodalesorganiclife.com/garden/double-digging-why-do-it) so we just build up for our food gardens. Didn't see last week's post on mulch but we have ChipDrop.in here in Portland where gardeners can list what they want and arborists can dump their woodchips from tree jobs at those spots for free (saves them the cost of paying to get rid of them)...pretty rad :) "
Charlotte dropped by and shared this: "I like the thought of a do not disturb sign for the soil or why not the whole garden :) Let the garden be peaceful and living from soil to the top of the trees. 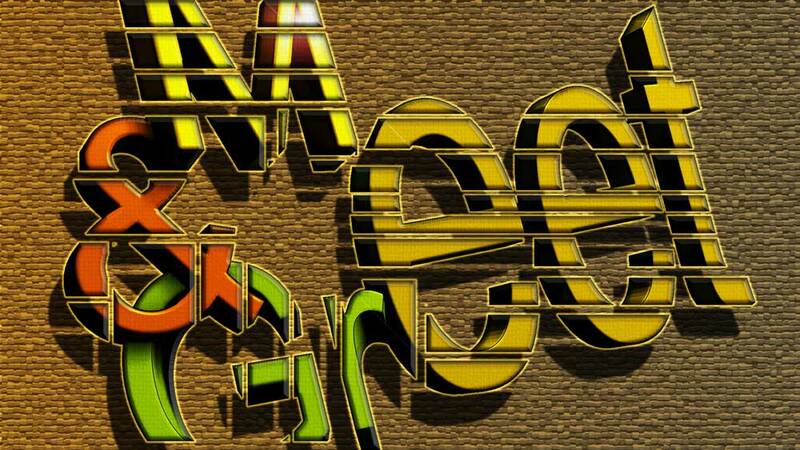 Great challenge as always!" On google+ I asked if people would like to join our challenge. Charlotte replied, "I sure do :) And today I learned two new things: no-till gardening and the double-dig method. Thank you!" Clare left a comment via Google+. She said, "Farmers have been tilling for so long it requires a complete mindset change. But it is SO worthwhile not to till. Planting intelligently is definitely the way to go! Thanks for a great challenge"
Penge Green Gym wrote an excellent article about mulching. In Mulches and Mulching in #WinsfordGardens a #CTWW Weekly Challenge you'll learn about using wood chips, leaf mould, and even gravel to care for your garden. The The artists Daily shared one of your posts, which I tweeted about. Was it yours? Take a look at nature. Everything grows, and grows well. The forest doesn't depend on tilling or perfectly groomed beds ... it produces, year after year, using a well-balanced system. No-till gardening brings us one step closer to the perfect growing methods of nature. It's good for the earth and good for us. Perfect! Oats make a great "green manure"
Did you know that common, commercial fertilizers (synthetic nitrogen-phosphorus-potassium blends) harm the soil? Healthy soil is a living, breathing environment. Microorganisms help create good soil structure, deliver nutrients to plants, and even help deter pests in a garden. Synthetic fertilizers kill microorganisms by destroying their cell walls. The same factors which promote faster, and larger, plant growth, cause imbalances in the soil environment. This opens the door to weeds, pests, compaction, and unhealthy plants. Is there a better way to fertilize? Absolutely! This week, investigate green fertilizer (green manure) for use in your home garden. 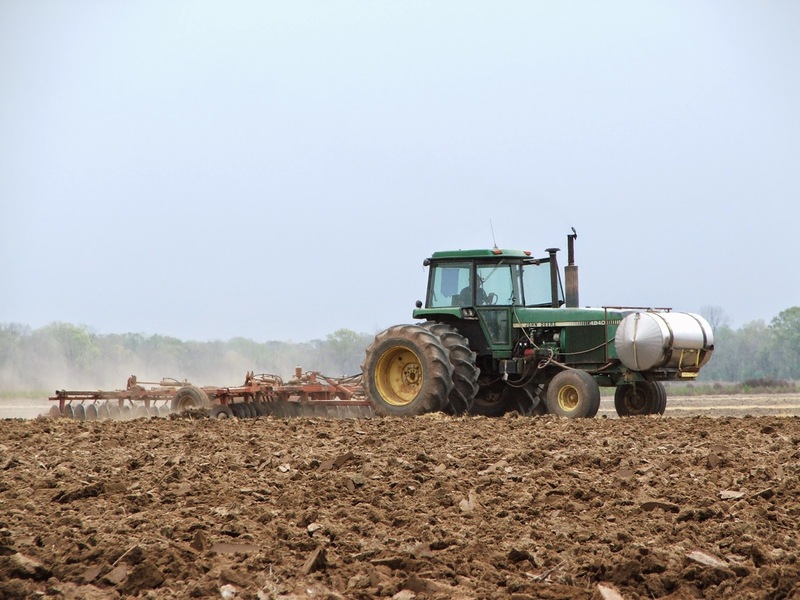 Green fertilizers are basically any crop grown to be turned into, or cut down to lay on top of, the ground for the purpose of adding organic matter and nutrients to the soil. 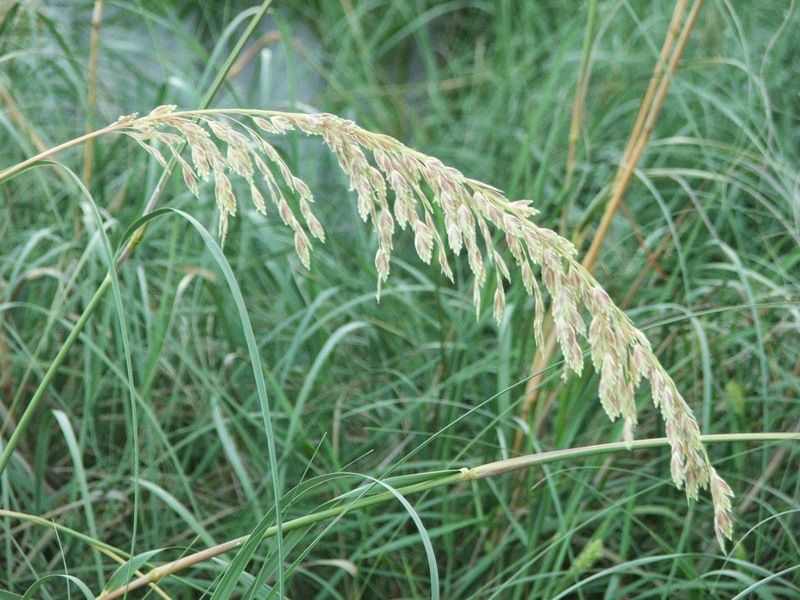 Some examples are oats, buckwheat, clover, and even leftover seeds. Once a crop is harvested, green manure can be planted. After about a month, it is ready to turn under or cut. If you have an empty plot, green fertilizers can be used to prepare the area for future planting or simply to protect the soil. To get advice on the best crops to plant for your area and needs, contact your county extension (just search the term "??? County Extension", replacing the ??? with your county). Since organic farming typically makes use of green fertilizers, commit to buying organic foods this week. Are you ready to investigate the wonderful world of green manure? I know that you are! Most people talk about composting as a viable alternative to tossing things into a landfill, but I was curious about how many people actually make the effort. I was also interested to learn about the reasons why folks don't compost. That was the focus of April's survey. Why NOT compost? It's great for the garden, it reduces our amount of garbage, and it's good for the earth to put food and yard waste literally back where it originated ! We had an old plastic "earth machine" one for years but it always filled up too fast so this year we built one out of old repurposed fenceposts and chickenwire, with one half for current garden and food waste and then when it fills up, we'll let it settle and start filling up the second one. They say more than 20% of our garbage dumps are filled with food - crazy!!! Every city should have mandatory curbside composting like our big cities here on the west coast - it just makes sense (economically as well!). Because it reduced how much trash we were throwing out, it's good for the environment and for our garden, and we get free soil. I compost because food waste is such a problem in the landfills, plus it's free fertilizer. I don't use bins though, I bury mine right in an empty garden plot to decompose. We don't have anywhere to use the compost we'd make. I've had a garden my entire adult life. My current one is my toughest, here in the American desert Southwest. It's hot. And dry. To manage water usage and keep vegetables comfortable through hundred-and-teens, I have to have compost (and mulch, which is sometimes the same thing)! Besides, it's the right thing to do--perfectly good coffee grounds and vegetable peelings certainly don't need to clutter landfill. I am studying here and I live in apartment, thus I don't have place to plant or cultivate. In my hometown, my family lives in city and has the same situation. Because it good for the soil and keeps the balance of nutrients naturally. We also should be recycling everything we can and this is a great way to recycle your food scraps and make use of the that nature provides us. It is also very economical. The majority of people, who participated in the survey, do compost. Reasons included things like reducing landfill waste and nourishing gardens. Some folks use commercial composting containers, others make their own, and still others simply bury compostable materials directly into an empty garden plot. My sense is that those who do compost, use it in their gardens rather than participate in curb-side pick-up or donate it to a neighbor or community garden. One participant asked for tips on how to make a compost pile work faster. I found a great article on the subject which you can read HERE. Suggested methods include shredding, turning the pile often, and ensuring that the carbon to nitrogen ratio is appropriate (they include the ratio of common items like grass clipping, food scraps, etc., and give you an easy way to approximate the ratio). A few people don't compost and their comments got me thinking about situations that make the practice difficult (or impossible) and how we might comes up with solutions. If you eat out, choose restaurants which compost kitchen scraps. To find out, call ahead and ask. If you prepare food while traveling, bring along a bokashi composting system which can be carried back home for use in the garden. Or, carry a container with a good lid, fill it with scraps and bring it home to your bin. Ask the hotel, campground, bed & breakfast, etc., if they compost and, if so, how you can add scraps to the bin. If you are staying in a rented home, find out if curb-side collection is available or if a neighbor might be able to use scraps. Participate in curb-side collection if it is offered. Donate your compost to a local community garden, a neighbor, or offer it on Freecycle or Craigslist (I'm guessing that someone would be happy to pick it up and use it). Use a bokashi bin and then use the fertilizer on house plants or a lawn ... or, again, give it away. And if you don't have house plants, get some ... they are a great way to clean indoor air. Consider the bokashi system. Use the results on houseplants or offer it up on Freecycle. Perhaps the apartment management would appreciate a bit of fertilizer on their landscaping ... just be sure to ask, first. Collect scraps in an air-tight container and donate them to a community garden. Find out if a college or work facility has composting. If they do, ask about adding your scraps to their bin. Contact the city waste management department to discover options. If they have no options for you, ask them to consider providing some in the future. When we think about composting, we tend to consider it from the end results. While free, green fertilizer is appealing to those of us who garden, it really doesn't mean much to people who don't grow things. So perhaps we need to look at this activity from the other end ... the beginning. If we consider it as a viable way to divert usable materials from landfills, it becomes a practice which all people can take part in. Yes, there's still the question of what to do with the end results but that seems relatively easy. There's always someone who could use free soil enhancements. With the many, easy ways to recycle our food waste, composting is no longer a labor-intensive, stinky process. In fact, anyone with a counter can compost. It takes no more effort than tossing those scraps in a trash bin. Yes, perhaps it means coordinating with a neighbor or driving to a community garden but protecting our environment is worth the effort. If you're not already doing so, I encourage you to compost. It is one way to keep "stuff" out of landfills and protect the earth. Last week our challenge asked us to prevent soil erosion by adding mulch and ground cover to our gardens. My home is surrounded by deciduous trees so we have a good supply of leaves which we use to mulch our garden. We also planted ground cover to further hold our soil in place. I was particularly fascinated by the number of perennial plants which are edible. 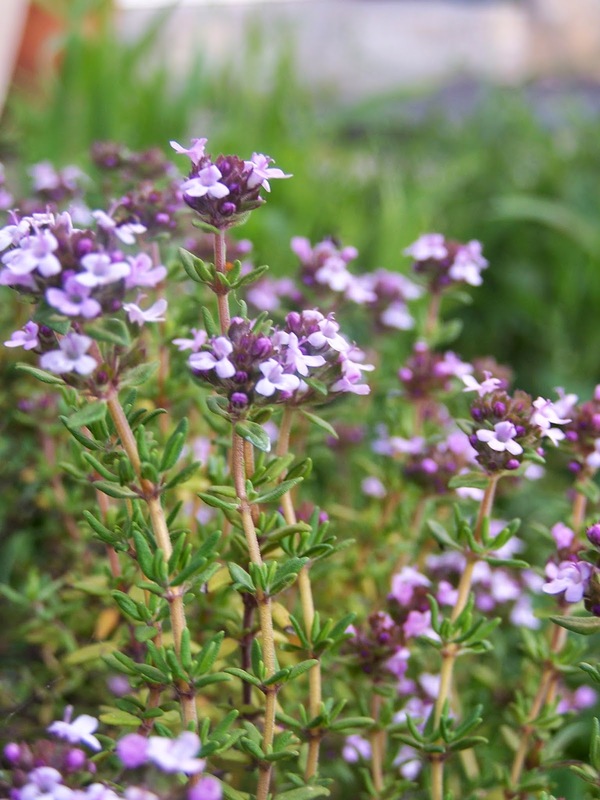 Thyme, strawberries, mint, and American cranberries are just a few of the many, delicious ground covers available. Marla had some great ideas for us: "We have a lot steep banks that I we have slowly been planted ground cover on. We have planted ivy which is great because it is very tolerate to temperatures and pest resistance but it does grow fast so you have to keep it trimmed. I do love it though - it looks really nice. We also have planted Juniper (which is an evergreen) that makes a great ground cover. Phlox is another great choice that blooms with a glory of beautiful bright colors ranging from different shades of pink, lavender to white. It is absolutely gorgeous in the springtime. Ours should soon be blooming very soon. It spreads each year. I also have use butterfly bushes to help with erosion and they are always a pleasure with the lovely butterflies they attract. They come up every year more beautiful than before. I have recently discovered perennial geraniums that spread quite quickly and just transplanted some to another one of our banks. They also bloom throughout most of the summer into early fall and are very hearty. I have used daylilies too and I love the many beautiful colors and sizes of this striking and weather resistance flowers. They are easy to transplant and I just planted about 5 new petite size bulbs last week for ground cover. They get bigger and have more blooms every year. We also have used stepping stones and small gardening ornamental stones to fill in in small areas that stops erosion and looks very attractive. We have just added some old bricks to some areas last summer to hold the soil and arrange them in different shapes and forms. There are so many great ways to help erosion while beautifying your home. Just use a little imagination and work. It will pay off so that we don't lose valuable soil. It has worked for me." Alicia accepted the challenge and shared this: "We use mulch which also helps in keeping the soil more moist which really comes in handy especially during drier times in the Summer. We also like planting things like turnip greens in the Fall. It is a great ground cover and you have food also! Alan also edges our gardens which helps keep the soil from eroding. I always love the challenge of not eating meat. It really is easy to do and can help so much. Just imagine if we would all just not eat meat even once a week what a HUGE difference it would make!!" cstocks is way ahead of us: "I'm almost done applying mulch! Last year I mulched all of our fruit trees and in August a flood washed it all away. It ended up in neighbors yards, so hopefully it was not a total lost cause. So... try as I might again this year. I mulched all of the fruit trees PLUS some more areas that have not before--a new grape arbor and a kitchen herb garden (sing along now: parsley, sage, rosemary and thyme!) plus some areas that had been grass, which we want to turn into garden areas. I read (somewhere) that shredded newspaper covered with sheets of corrugated paper act to suppress weeds, so I suppose that constitutes a mulch. We put that down in the paths in the vegetable garden and it will eventually break down. We have quite a bit from a recent move and keeping it out of landfill (though we would recycle it, it's a 20-mile trip to the transfer station...one less gallon of gas to put in the car). We're acutely aware of preserving our water resources; no part of our yard gets water unless it's for creating food. Mulch helps to retain necessary moisture (especially in summer with single digit humidity). Since I was doing it anyway, it's not fair to accept this challenge, so, I'll have to go meatless!" Charlotte joined us and said: "Ground cover and mulch - interesting challenge!" Did you know that some commercial mulches contain artificial dyes? That's just one of the interesting facts included in Mulch now to rescue your gardens by Vicality! We've been working, all month, to protect our soil. Mulching and ground covers are two easy ways to do that. Considering the important roll which soil plays in food production, it only seems to make sense that we treat this amazing resource with respect and care. To any doubters "out there", I say ... just take a look back in history, to the 1930s and the "dust bowl". Taking the soil for granted caused people to lose their homes and struggle to feed their families. Food production, throughout the entire country, was negatively affected. It all could have been prevented! Let's learn from their mistakes and never repeat them! Tilling damages and exposes earthworms. It also releases CO2 into the air and destroys soil structure. This week, consider using the "no till" method of gardening. Basically, avoid inverting the soil and tread lightly, or not at all, on your planting area. Some ideas to try include raised vegetable gardens, "lasagna" gardening, straw bale gardening, and square foot gardening. If you have a new garden area, start with the double-dig method followed by the addition of soil amendments such as compost. The idea, this week, is to disturb the soil as little as possible when planting. Not into gardening? There are still actions which you can take to help the soil. Since large commercial farms (the guys who provide produce to most grocery store chains) are more likely to till, support local, organic farmers this week. Buy veggies from a farmer's market or a Community Supported Agriculture (CSA) farm. Consider preserves (jams, canned foods, etc.) which were made locally using local foods. Are you ready to hang a "do not disturb" sign on the soil? I know that you are! We count on our manufacturing companies for everything from the windows in our homes to the bricks and steel supporting our cities’ tallest skyscrapers. The finished products these companies create are often beautiful and needed, but the environmental impact of the manufacturing isn’t always as pretty. It is no secret that the manufacturing sector can produce a lot of waste. In fact, according to the Environmental Protection Agency, in 2013 alone, manufacturing processes created close to 8 billion tons of nonhazardous waste. Even worse, a vast majority of that waste ended up in landfills. It begs the question “is there a way to reduce all this waste?” Thankfully, the answer is a resounding yes. You could even say it’s a classic case of one man’s trash being another man’s treasure. Unfortunately many companies overlook these recycling opportunities favoring the cost efficiency of trashing the extras, but there would be endless benefits if large manufacturers committed to creating and following simple recycling programs. Thankfully, there are a few companies that are spearheading these efforts and just from their modest work to reduce the amount of trash they produce, we can already see the improvements. 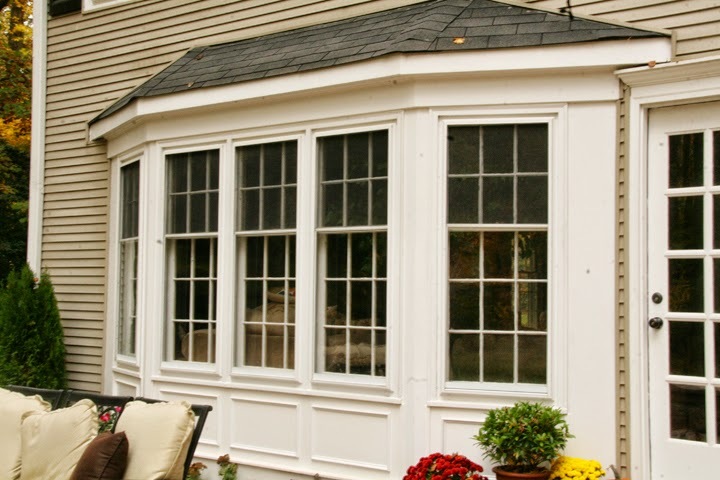 In the spirit of Earth Week, April 20-24, 2015, and recognizing those companies that are dedicated to environmental causes, it’s worth talking about Thompson Creek Window Company, a Maryland-based window manufacturing company. 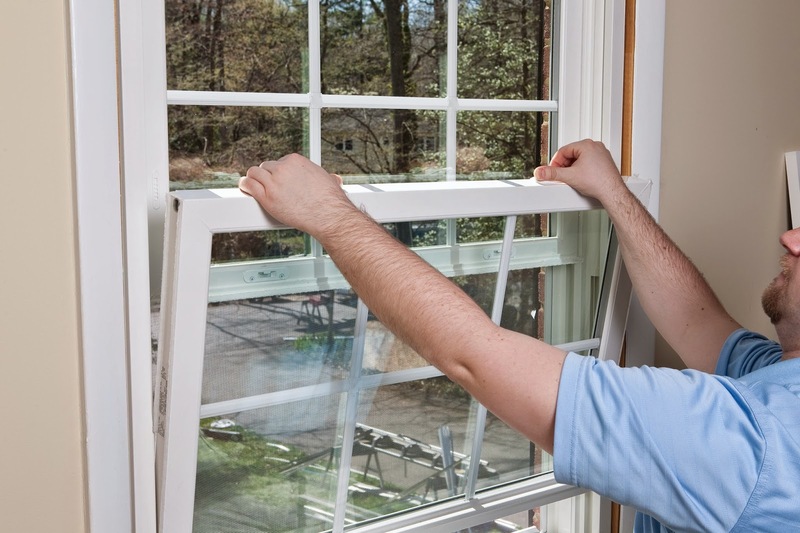 They have committed themselves to being green and making a concerted effort to minimize their carbon footprint by recycling the excess raw materials that are created when making windows. For example, and unsurprisingly, glass is a common excess material for a window company. 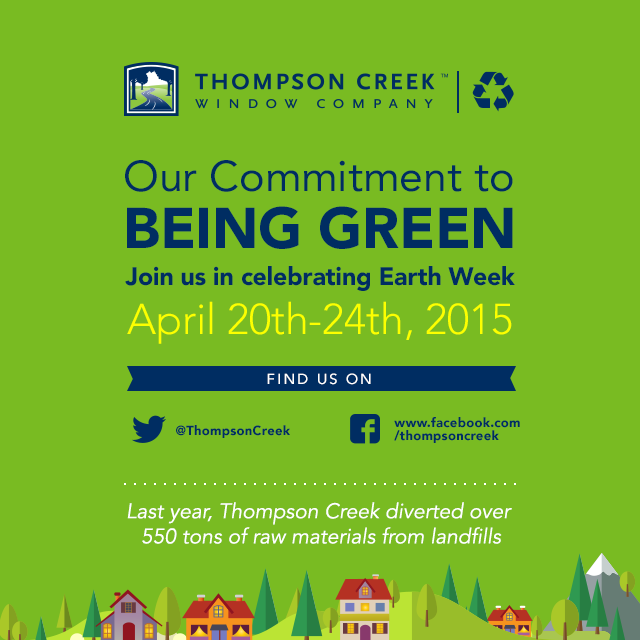 Thanks to their recycling program, Thompson Creek diverts over 412 tons of glass from the landfill each year. These 100% recyclable leftovers are used to create other glass products, for further consumption. Additionally, 84.42 tons of vinyl are recycled by Thompson Creek every year. The recycled vinyl can be reused in packaging, traffic cones, siding, floor tiles, and more. The company also diverted 38.73 tons of cardboard and 14.87 tons of aluminum from the landfills. All in all, we’re talking about over 550 total tons of recyclable materials diverted from the landfill every single year. Thompson Creek holds strong to their commitment to minimize their carbon footprint and they are among a growing list of companies committing themselves to reaching “zero-landfill” status. Imagine if larger manufacturers made the same commitment. The impact would be colossal. I think we can all agree it’s a pledge we’d like to see more companies make, both large and small. Have you ever noticed how completing a do-it-yourself (DIY) project is so much more rewarding than buying something already made? There is, of course, a real sense of pride; moreover, it gives us the opportunity to choose earth-friendly materials and build an item which will last. It also feels liberating to know that we can sustain our lives without depending on the "big box stores". Since buying our property last year, we've taken on many DIY projects. With some of them, like the blue bird nesting boxes, we needed information so that we'd build something suitable for the preferences of these beautiful birds. We turned to the Internet for instructions and while we found several sites offering how-to tutorials, they often left out key information, like where to hang the box so that the birds would be protected from predators. The other drawback to online information is that it's not always easy to carry a computer to the work area for easy reference. I was invited to read Practical Projects for Self-Sufficiency by Chris Peterson and Philip Schmidt. This book is a DIYers dream and includes something for everyone. Interested in growing potatoes? You'll find excellent instructions for building a Potato-Growing Box. Perhaps you want to wash clothes, without electricity, and without having to use a tiresome wash board. The Manual Laundry Washer is easy to build, easy to use, and will save money and the environment. There are projects for raising chickens, growing critter-proof strawberries, and even one which repurposes a clothesline support to serve as a trellis (a brilliant idea). Each project begins with a photo of the finished item and a few paragraphs about why it's a worthwhile endeavor. Materials and tools are listed and, if required, a lumber cutting list. Next are the step-by-step instructions. Each step includes a numbered photo along with written instructions. Most of the projects include additional tips and information. For example, in the section about building a Teepee Trellis I learned about plant varieties which benefit from growing vertically ... some of them might surprise you. The instructions for building a Frame Loom include common weaving terms and a bit about using the loom. Practical Projects for Self-Sufficiency offers a variety of projects which are appropriate for everyone. Whether you live in a small space or have a lot of property, you'll find something which fits your needs. The book measures approximately 8-1/2" x 11" ... the size of a standard piece of printing paper. I mention the size because if you've ever tried to reference a small instruction booklet, then you know that they are hard to use while working. The large pages of this book make it easy to follow along at a glance. The instructions are complete, including everything you'll need to know to successfully finish the project. I highly recommend this book ... it encourages readers to lead a more sustainable lifestyle and offers great ideas which are practical for today's world. If you'd like a copy of this book, please click HERE for purchasing information. 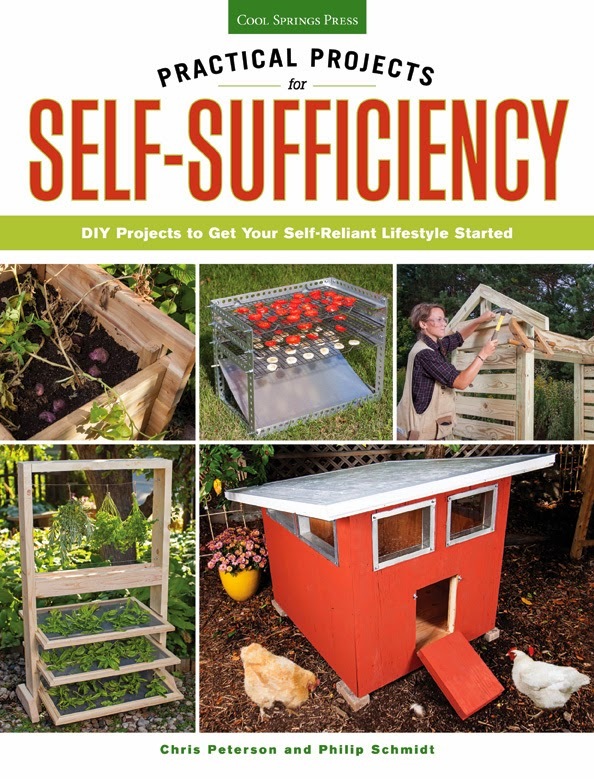 I received a copy of "Practical Projects for Self-Sufficiency" in order to write this review. I received no other compensation. All opinions expressed are mine and mine alone and reflect my honest opinion of the material reviewed. Last week we planted (and/or ate) legumes to add nutrients to the soil. Legumes, which attract nitrogen, benefit both soil health and other plants. I have peas growing in my mini greenhouse and soon will be planting beans in the garden. Aimee left a comment on our composting challenge. Here's what she had to say, "We built a bigger compost bin this year out of repurposed old fence posts which has been awesome. We compost everything on the list (minus the urine!) and on the rare meat consumption days those bones go into the weekly curbside compost bin. We looked into composting toilets recently but unfortunately the cost for a decent one is still too prohibitive ($1800+)." This edition of Shopping Charity included several of your posts. Was yours one of them? Alicia joined us and shared this: "We love growing beans and peas but have not grown lentils . So I think this would be a good time to check into growing some this year. I will give you an update on what we find out!" Can't wait to hear how it goes, Alicia! Welcome to cstocks! Here's her comment: "It's a bit too late for growing beans in the desert, but they are a fabulous source of nutrients for body and soil. We did get some from our food co-op this week and just broke off the stems, grilled in a little olive oil with garlic. Yummy." Charlotte accepted the challenge. She said: Great challenge as always! I will happily get my teeth into it :) " True to her word, she did! In Add Nitrogen to The Soil she talks about why she won't be growing one of her favorite legumes and shares how the plants actually add nitrogen to the soil. Want a hint? Noodles! Is she talking about pasta? You'll have to read her post to find out! Kimberly stopped by. I appreciate her comments: "Great post. Pinned and tweeted. We appreciate you being a part of our party. Please stop by on Monday at 7 pm. Happy Sunday! Lou Lou Girls"
Morag shared another idea for improving soil. She said: "Just to say that some trees and shrubs also fix nitrogen - the ones that have "pea pod" type seeds (not always edible though) and interestingly the Alder tree (Alnus sp.). You may already have a nitrogen fixing plant on your garden border - perhaps in a hedge? Worth checking out :) " Excellent!! - Thanks for including me in your #CTTW wrap-up. So glad you like my blog. I'll be planting beans this week....! Nature is amazing! Soil provides the conditions necessary to grow plants and plants give back to the soil by adding nutrients, either by their ability to attract nitrogen to the area around their roots or by decomposing when they die. It's a perfect, sustainable system. Unfortunately, humans come along and ruin that perfect balance. Mono-crop farming, clear cutting, and the use of artificial fertilizers all interfere and leave us with nothing more than dirt ... a substance which cannot sustain life. With food insecurity a major concern in our world today, it's more important than ever to ensure that our soil is healthy and nutrient rich! In the 1930s, the US experienced "The Dust Bowl". Unanchored soil, on over 100,000,000 acres of land, turned to dust and simply blew away. Tens of thousands of families were forced to abandon their farms and both ecology and agriculture in the US and Canadian prairies were severely damaged. Exposed soil, which is subjected to the wind, rain, grazing animals, and the sun, is susceptible to erosion. This week, prevent soil erosion by increasing ground cover and/or mulching. Another way is to plant seedlings as close together as possible. The idea this week is to cover up any exposed soil. If gardening isn't for you, please give up meat this week. Why? Grazing animals destroy new plant growth. Plants benefit the soil by preventing erosion. So, reducing our meat consumption, and therefore the need to graze more animals, will help reduce the harm done to soil. Are you up for preventing soil erosion? I know that you are! Please meet Mi Muba, owner and author of the fabulous blog, Pollution Pollution. Mi Muba's love and concern for the earth started at an early age. Originally from the Desert of Tharparkar, a remote area of Sindh, Pakistan, where water is, to this day, scarce, he was aware of his surroundings and noticed how people abused nature. He worried when trees were cut or when areas were unnecessarily excavated. He now lives in Karachi, Pakistan, which has a population of over 23 million, making it one of the largest cities in the world by population. Over the years, as he realized that people didn't have a basic understanding about pollution, his concerns for the earth continued. He also realized that if we wait until we are affected by pollution to act, we will be too late. 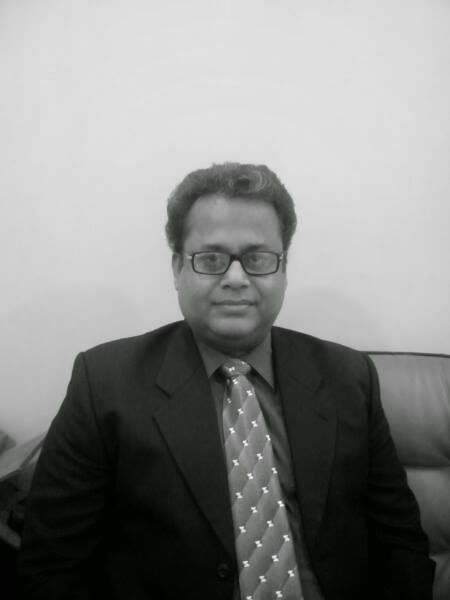 With over 20 years experience in environmental awareness and pollution control, he strives to encourage and teach readers how to reduce their impact on the planet through his blog, Pollution Pollution. Pollution Pollution is well written, down to earth, and contains a wide variety of posts. I found a section entitled GREEN DEBATE to be especially fascinating. This series of posts seems to challenge common thinking, both of "greenies" and "non-greenies" alike. For example, the very first article that I noticed talks about fund raising for green causes and discusses the ethical question of sponsorship. Another article about carbon trading asks if this practice is simply a license to pollute. Under the heading GREEN LIVING, readers will find articles designed to help us reduce our footprints on the earth. I found a great post about the benefits of saying "no" to consumerism and another about energy-efficient roofs. This section has green-living tips for families; articles on cosmetics, toothpaste, and baldness; tips on Eco-friendly praying; and even an article which suggests that green living can save a marriage. Interested in green energy? There's an entire section on the topic which covers everything from solar panels to a sad story about generating energy from solid waste. 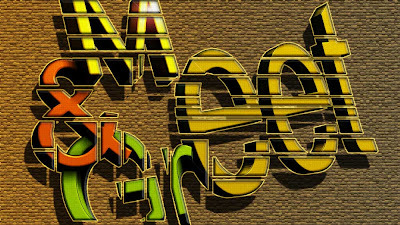 Mi Muba takes great care penning articles, making them educational as well as entertaining. Terms such as "climate change" are fully explained in clear, understandable ways that make sense. He also has a unique ability to look at the indirect consequences of our actions. For example, in one post he links climate change to a rise in prostitution. In another he describes how using plastic bags encourages poverty. Pollution Pollution is an interesting, informative blog. There's something for everyone and I guarantee that readers will learn something new from Mi Muba. I strongly encourage you to visit Pollution Pollution ... it's a terrific blog! I'm curious ... Do you compost? Last week we began a month-long effort to protect soil, a precious resource. Our first challenge asked that we start composting which is an excellent way to add nutrients into the soil. It's also an excellent way to reduce waste. I've been composting for a long time. I started out tossing veggie scraps into a large, 10-gallon planter which was located on my apartment patio. Done correctly, there isn't any smell or negative "side affects". Now that I have a larger space, we're expanding our efforts. This week we built a compost bin using pallet boards. We've placed it above our garden area so that nutrients will leach out to where they are needed most and it'll be easy to remove rich soil when ready. Vicality accepted the challenge this week and offered readers a ton of great information, including worm composting, starting a food scrap compost at work, and a great link to important composting instructions (pretty much everything you could ever want to know on the subject). To learn more, read Your CTWW Challenge: Make Compost. Have you met Rose of Rose Rambles? If you haven't, OMGOODNESS!! 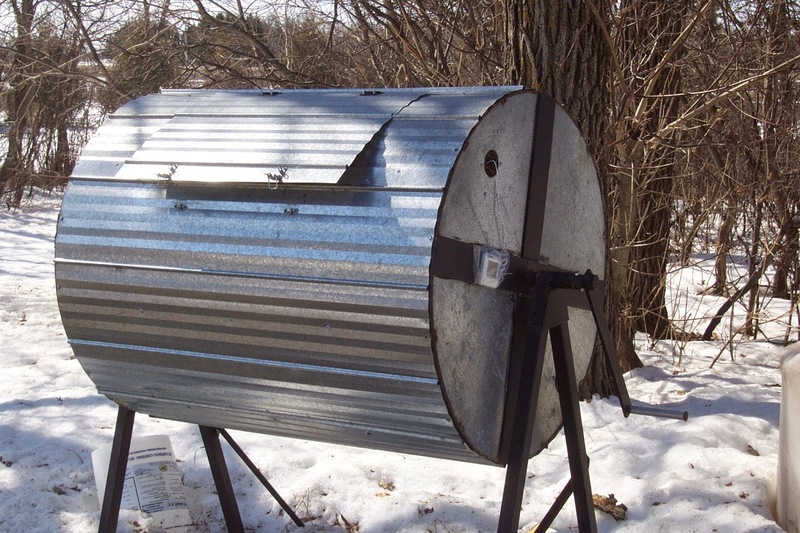 The blog is about sustainable living with an entire section dedicated to composting. A post which Rose shared via twitter will be of interest to anyone who has ever been confused by the conflicting thoughts on what can and cannot be included in a compost bin. In A Rubbish Conversation turns to Compost, she shares her own experiences about what works. Andie wrote an exciting post entitled As the Worm Turns. No, it's not a vermaculture "soap opera" but rather a unique way to compost. Want a hint? Andie's method is underground. For those who are concerned about odors and attracting pests, this method will definitely be of interest. Check it out! Alicia grows such beautiful vegetables each year and knowing that she's a true "greenie", I suspected that she made good use of compost. Here are her comments: "We are big composters! It really can make a big difference in your soil. The University Of Tennessee's Agricultural Department will do a test on your soil if you send them a sample. We are going to do that this year because it will let you know what nutrients your soil is lacking. Our son sent in a sample this past year and he was able to give his soil what was lacking and it made such a difference in the quality of his veggies and a big bonus was that he had very little fungus to deal with because his soil was in such good shape. People don't think a lot about the soil they pant their seeds and plants in but it should be a top priority. A great way to start is by composting!" Marla joined us and shared this: "I am currently collecting my egg shells from all the pickled eggs for Easter and any thing we are using eggs for and saving them to crush to add to my garden. I am using my peelings from potatoes and other vegetables and putting in a small tub. We put our ashes from our wood pellet stove in our garden regularly throughout the winter. I keep my leaves and let them on the ground in the fall to add nutrients to the soil and use them to protect my plants. I put banana peels around my rose bush roots every year. I do about everything I have that is good compost and use to help my soil. Never use chemicals fertilizer - if I buy fertilizer it is organic - I use organic fish oil fertilizer for my house plants. Let save our soil and get it healthy the natural organic way. I think this is a really important challenge for every one to follow. Almost all our food source come from the soil in one of the other so keep on composting and keep those chemicals out or soil and food." Morag shared some interesting information about consuming fruits and veggies ... if we follow the guidelines, we should have peels and scraps to compost. Here are her comments: "It's interesting that reports say that 8 portions of fruit and veg a day can reduce heart disease. Here in the UK we are encouraged to eat 5 portions of fruit or veg a day, in France you'd be told to get 10 portions daily and in Australia is 5 veg and 2 fruit. So when I created the VEG OUT quest I decided that 5 is probably the a minimum amount! http://www.worldchanging.me/health-and-well-being/veg-out-5-a-day/level-1. With regards to composting we compost absolutely everything that is food or plant waste. I've also started composting the "confidential" things that might otherwise be shredded and put into the recycling. But I have realised that we don't have a "compost" quest on our website (we have two other related quests: http://www.worldchanging.me/quest-tag/compost - sorting out your home recycling bins and cutting down on food waste - but not an actual compost one) so for this weeks #ctww my aim is to get that compost quest up on the site!" And if anyone is totally new to composting, I've got a really really simple starter guide here http://ecofriendlylink.com/composting.php. Thanks for your ideas on what to do with your compost if you don't need it yourself - many people tell me they don't need it and I hadn't thought of suggesting Freecycle or Freegle." Charlotte shared an interesting method which is especially great for people with limited space, Bokashi Composting. This method involves fermentation rather than the usual aerobic situation. Before building our current compost bin this week, we simply placed kitchen scraps into a container and covered them with a thin layer of soil. Recently I noticed beautiful onions growing out of one container. As it happened, an onion from the grocery store became mushy before I could use it and I tossed it into the compost container. It grew! What was one, rotten onion has turned into six beautiful, healthy vegetables which I've transplanted into our garden. The mushy onion, along with other decaying materials, became food for the young veggies. To me, it is a perfect example of the benefit in composting ... trash becomes something of value. In addition to adding nutrients to the soil, composting reduces household waste and, potentially, associated fees. It is easy to do, taking no more effort than tossing something into a trash bin. It's a win for us and a win for the earth! the soil and other plants. 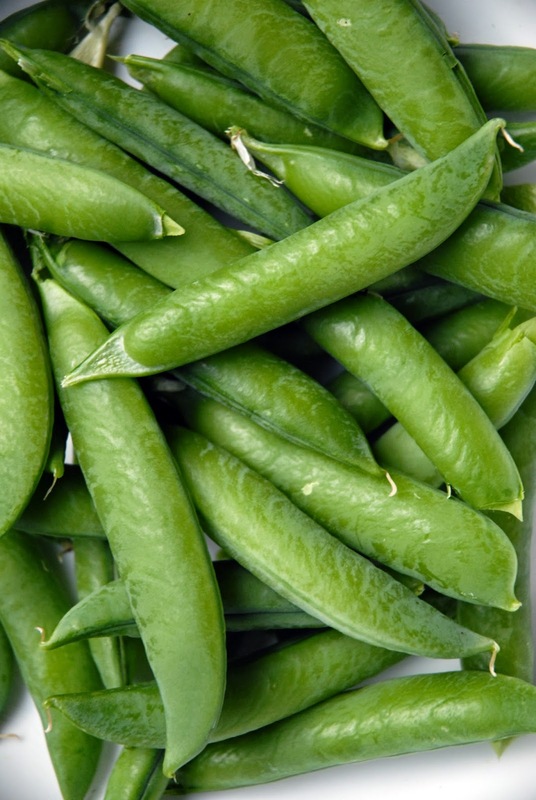 Legumes (beans, peas, lentils, peanuts, etc.) add nitrogen to the soil. So, in addition to being lovely to eat, they help both the soil and other plants. Marvelous! This week, make plans to grow some kind of legume in your garden. If gardening isn't for you, please come up with one other way, except for composting (which we've already talked about), to protect the soil. If neither of the above activities appeal, find out when organic legumes will be available at your farmer's market or grocery store and make plans to incorporate them into your diet. Buying these foods will signal growers to grow more which will, in turn, help the soil. Are you up for adding nutrients to the soil in a delicious way? I know that you are! We don’t make anything. We haven’t come up with the latest video game or the next hottest electronic widget, but we have something many crowdfunders don’t. Not just one great product, but many great products made by some of the hottest brand names in solar and portable energy from around the world. For us, it’s more about selling our customer experience; things like offering a wider selection of sustainable products, faster shipping, ease of doing business, and so on. Shop Akari is an ecofriendly store for solar panel systems and components, portable chargers and electronics, and other sustainable products. On Monday, April 6, 2015, we’re launching a crowdfunding campaign through Indiegogo. We’ve been in business for more than six years and inventory 90% of the products we sell, but we can do better. That’s why we’re crowdfunding. The exciting thing about the products we sell is that they’re better for the environment, convenient, or fun to use. Today, solar power makes up just 1% of the energy market, but according to the International Energy Agency, solar will be the single largest source of energy by 2050. Think about that. In just 35 years, we may see solar panels almost everywhere we go. Improvements upon battery backup power are also bringing people ever closer to living off the grid and making portable electricity easier and more reliable to use. We’re excited about our crowdfunding campaign and I hope to see you there. We’ve got some innovative new products that you can learn about for the first time right on our crowdfunding page. To receive updates, like us on Facebook at https://www.facebook.com/AkariEnergyUSA or follow us on Twitter at https://twitter.com/Shop_Akari or Pinterest at https://www.pinterest.com/shopakari/crowdfunding/. Shop Akari is an ecofriendly eCommerce store and offers solar power systems and components and sustainable products. Go to http://www.shopakari.com/ to visit the store. For further information, please contact Carmen Aguinaco at Campaign@ShopAkari.com or call (713) 869-4656.